A while ago, my husband gave me a copy of the latest edition of the Lodge Cast Iron Cookbook. I don’t know if other cooks and foodies are like me, but I spend more time thumbing through my cookbooks than actually trying some of the recipes. For me, the attributes of what makes a fine cookbook are a wide variety of dishes, beautiful photographs (preferably color), easy to follow recipes, and little tidbits thrown in on history, techniques, and possible ingredient substitutions. I am also partial to cookbooks with spiral bindings, as they remain flat on the counter when you are working through a recipe. Lodge’s cookbook meets most of my criteria. It doesn’t have the spiral binding, but quite frankly, most cookbooks don’t. But it has everything else — a variety of dishes, including breakfast frittatas, soups, stews and gumbo, delectable surf and turf dishes, desserts, and an entire section just on cornbread — and an easy-to-follow design with numerous color photos, simple directions, and sections on caring for cast iron, metric conversions, and even tips on bean hole cooking. The recipes are diverse, not only in cultures (American, Asian, Indian, Cajun, Mexican), but in the different types of cast iron skillets, griddles, bakeware and ovens that are recommended for cooking. Overall, a great cookbook! 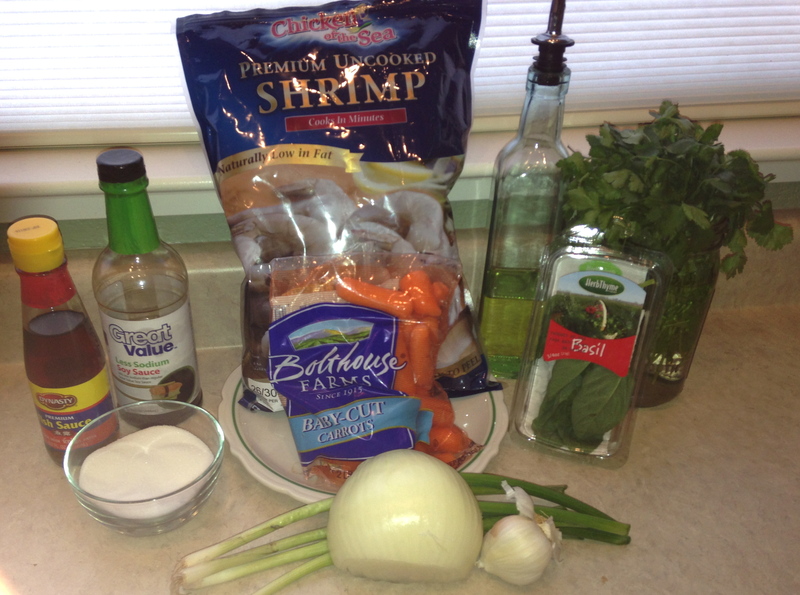 Following is a recipe that I tried from the cookbook, something that caught my eye as I love Thai food. 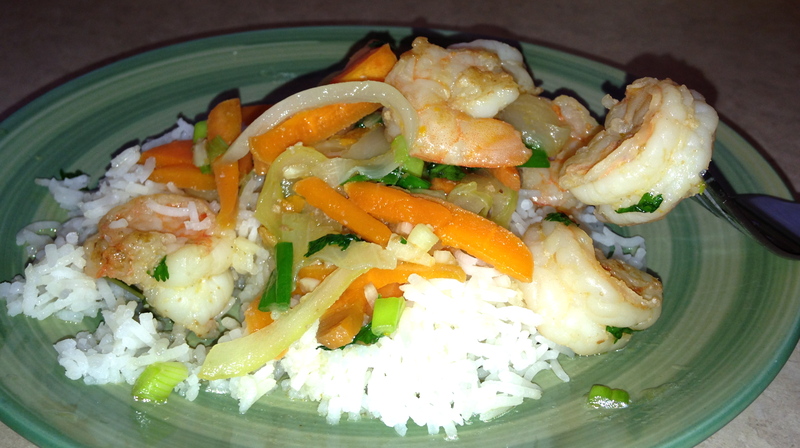 I modified it a little, adding some julienned carrots and removing the jalapeno pepper from the recipe. This recipe is very simple, extremely flavorful, and fast to make. And it gets the thumbs-up from my hubby, so what more does one need! Oh, and stay tuned! 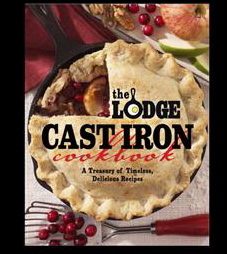 I will be giving away two copies of the Lodge Cast Iron Cookbook in the near future. Details to follow in a future post. Stir together the fish sauce, water, soy sauce, and sugar in a small bowl and set aside. Prep the remaining ingredients, so you can add them quickly when they are needed. 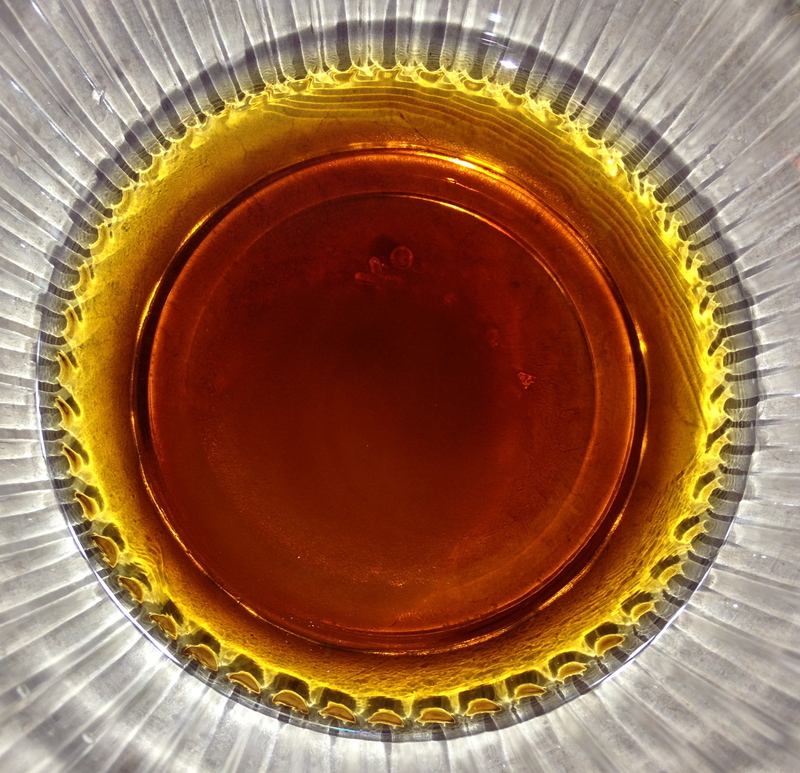 Heat oil in a 10- or 12-inch cast iron skillet, until it becomes very hot, about 30 seconds. Turn to coat the skillet evenly. 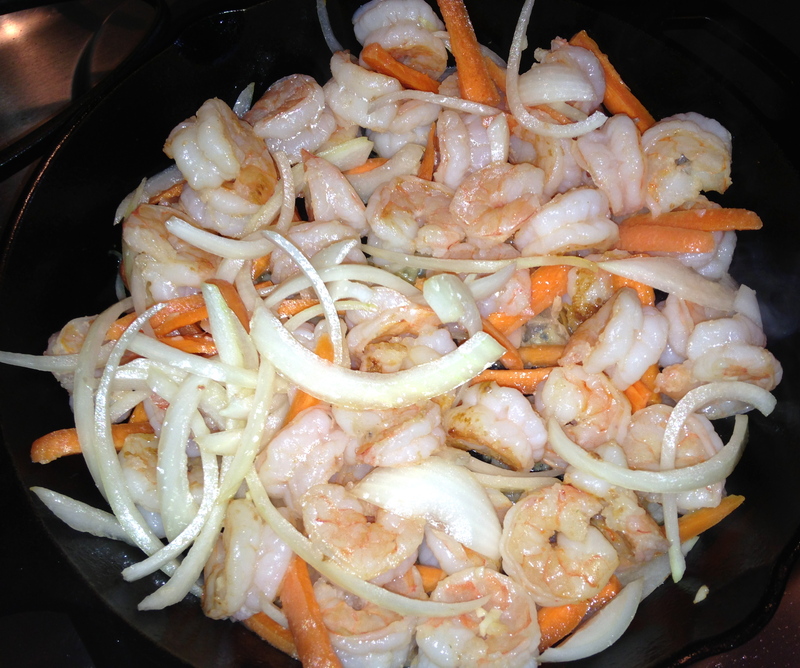 Add the shrimp in a single layer. 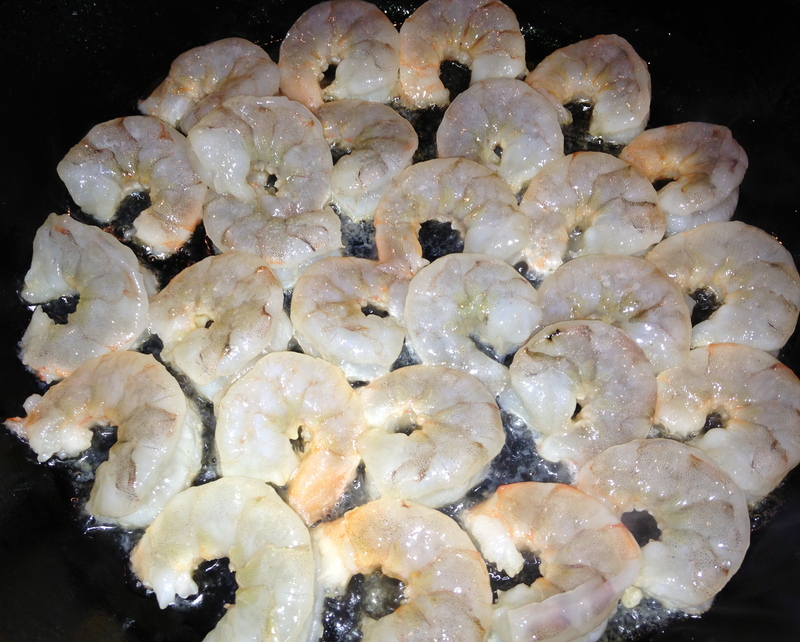 Cook on one side, undisturbed, until the shrimps’ edges turn bright pink. 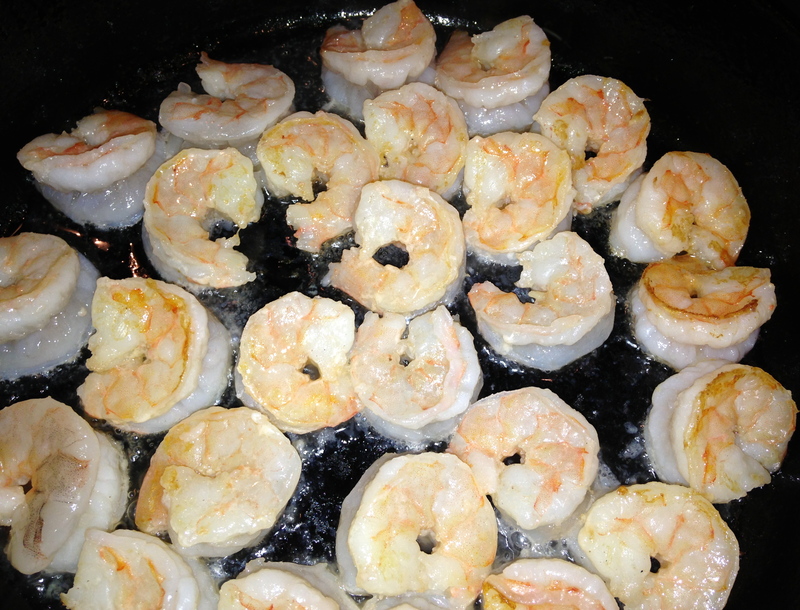 Toss well and turn all the shrimp cooked side up so the other side can cook, undisturbed, for 15 seconds. Add the onion, garlic and carrots and toss well. …until the onion softens and becomes fragrant and shiny; continue tossing so it wilts and softens but doesn’t brown. 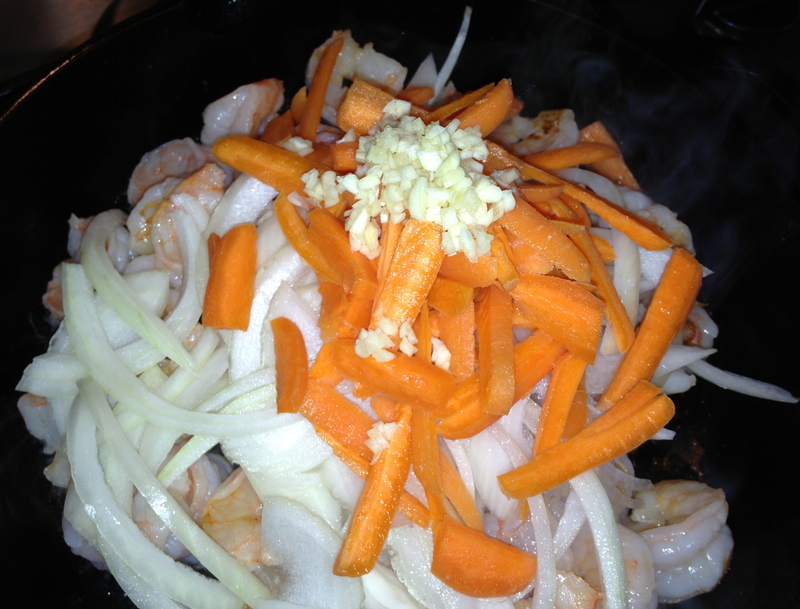 Stir the fish sauce mixture to make sure the sugar is dissolved and pour it around the edge of the pan. 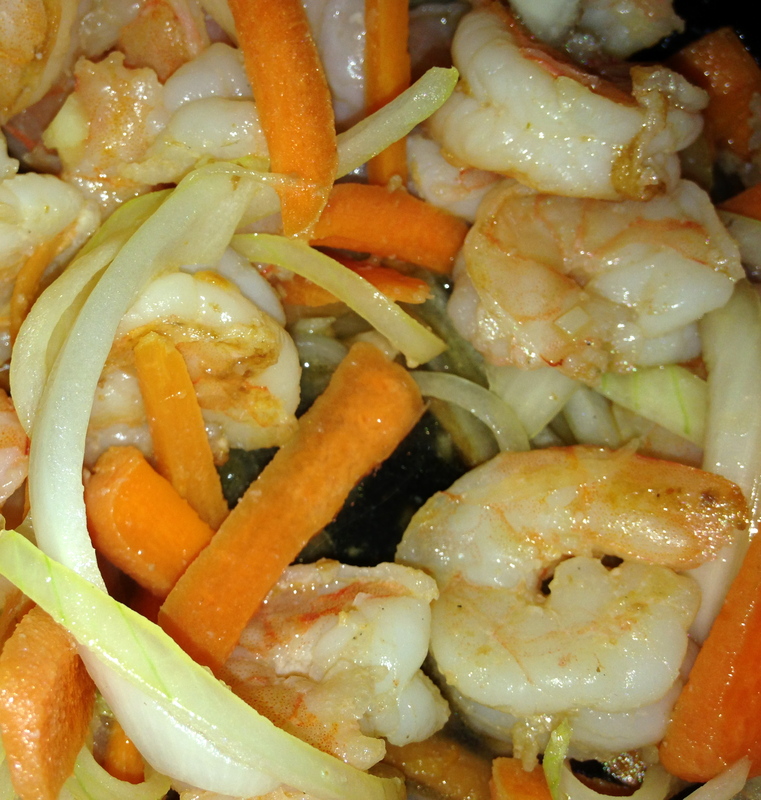 Toss well to season the shrimp, then let cook, undisturbed just until the shrimp are cooked through and the sauce is bubbling. Add the green onions and cilantro, and toss well. Tear the basil leaves into 2 or 3 pieces each. 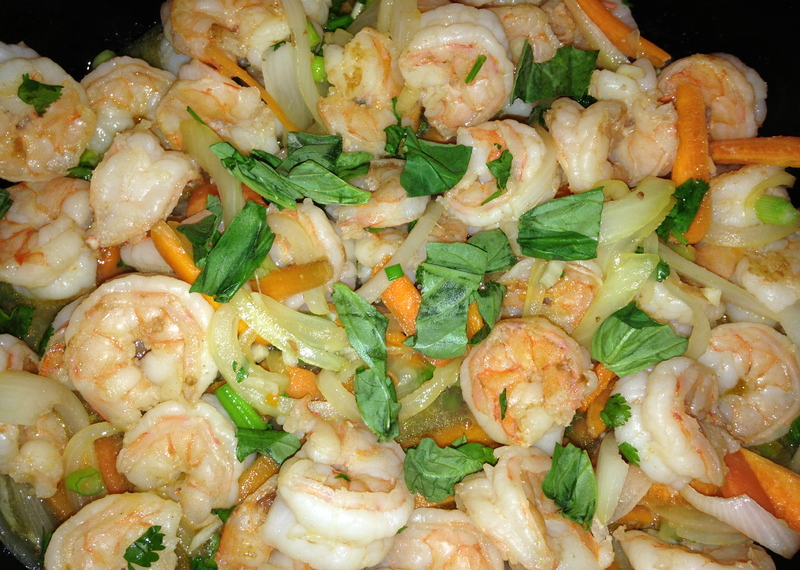 Add all of the basil to the pan over the shrimp and toss well. Cook 10 seconds. Serve over cooked rice. Enjoy! Lodge Cast Iron Cookbook Winners Announced! 2014 by Crystal Parrish. All rights reserved. Please seek permission to use my original photos or reprint my writing. Thanks so much!